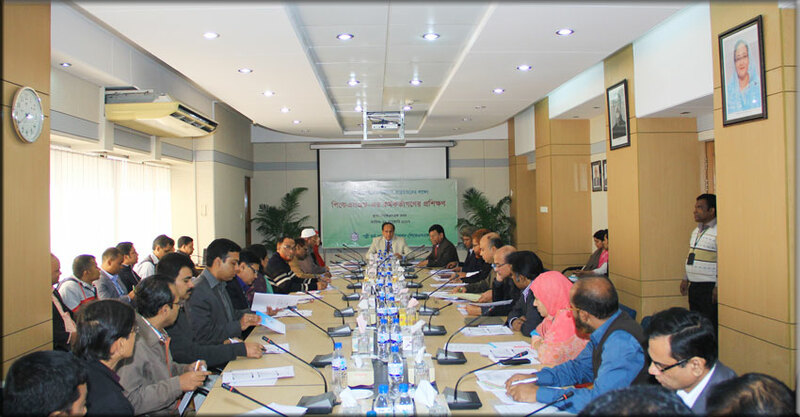 In pursuance of implementing National Integrity Strategy (NIS) as approved by the government, Palli Karma-Sahayak Foundation (PKSF), in the first phase, arranged a daylong training programme on January 22, 2017 at PKSF Bhaban for 30-official from its various departments covering wide range of issues related to NIS. The training programme was inaugurated by Mr. Md. Abdul Karim, Managing Director, PKSF. Mr. Karim urged the participants to the enforcement of NIS with rigour in PKSF to comply with the government policy. He said, PKSF is constantly keeping utmost transparency and accountability in all of its activities and we have to, by any means, make a conscious effort to uphold the spirit in the days ahead. The high officials of PKSF took part as the resource persons in various sessions on integrity strategy issues.